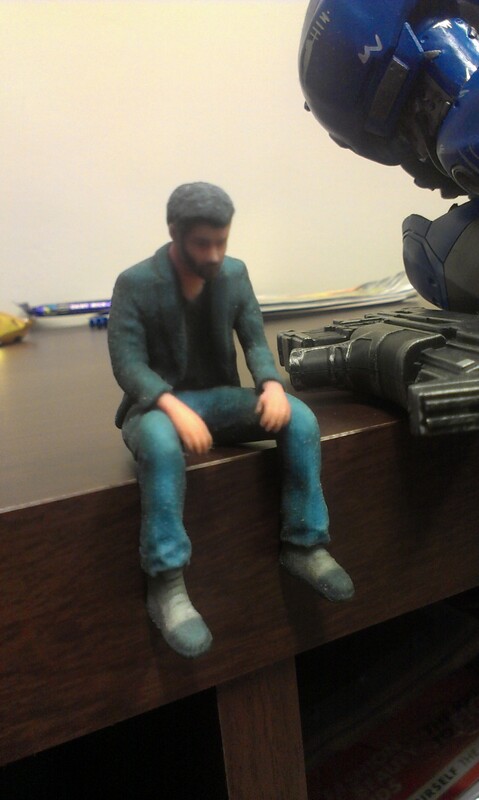 Sad Keanu is sad, because it’s been ages since I’ve blogged about my progress with learning to code. Also, Sad Keanu has been taking up much of my attentions, no matter how many tiny sandwiches I prepare for him in the hopes he will be cheered. Sad Keanu, y u no eat my sand witches!? Oh yes, and there is something else that’s been occupying space in my noggin and killing my time, and that thing is a Raygun. A raygun!? What the f…alefel? If I were you, I’d be thinking, what are you talking about, Willis? I shall explain. 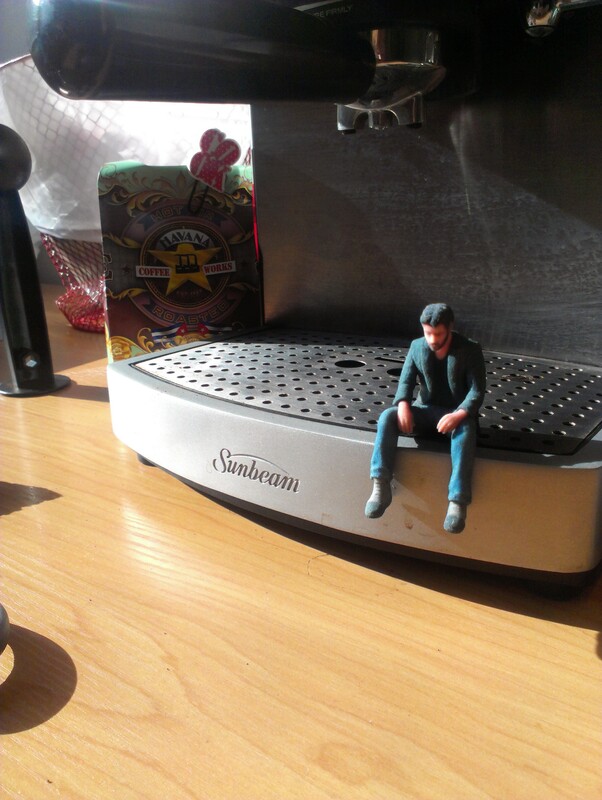 Put that coffee down! Raygun.io is the newest product from Mindscape , and if you recall, this is the company for whom I work. As far as my understanding goes (and as you know, when it comes to things of a technical nature, I have the understanding of a gnat. Actually, that is uncalled for. Gnats could be very adept in the area of technology), Raygun is awesome for tracking, reporting and annihilating software errors. So when whispers of rayguns and exception handling began to fly around the office (or rather, be sent electronically via IMs and magic) – I was somewhat confused about why exceptional things needed so much handling, and what the hell a stack trace was. It just made me think of stacks of pancakes. And now I want pancakes. Jesus. So, I decided one evening after beverages of happiness had been consumed (it was beer), that my new goal would be to carry on with Codecademy until I was proficient enough to build my own basic web app, and integrate Raygun into it so that I too, could throw an error. But then when said drinks of happiness had worn off, I realised that such a task would be a slight challenge for me, known fearer of websites. I realised that now it wasn’t just a case of working my way through Codecademy’s modules, and then feeling all happy and shiny when I got a new ‘I can do basic html’ badge – but that I actually needed to make a real, working app. That people might look at. Where should one start on such a task!? 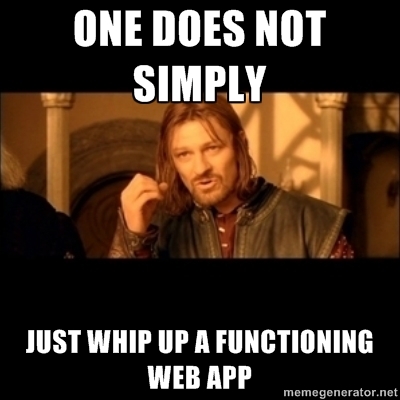 I’ve grasped the basics of making a static webpage, but actually making it perform actions is beyond me. How do I code all the things!? What was your first app? How did you get started with coding? Leave your comments below and make a girl feel better. It looks like I know how to use it! Photo lies! Word to ya mother. Hilldawg out. So, Jeff Atwood aka ‘Coding Horror‘ told me I shouldn’t learn to code. Well, he didn’t tell me per se, but he strongly advised against it in this post about the growing trend of folks deciding to learn programming basics which may never apply to their jobs. The man makes good points, but I decided to be defiant and go against his warnings and rebelliously attempt to learn something new. So, you must understand that I didn’t just have one of those clarifying moments where I was like ‘Why have I never learnt to code before? !’ – there was some context here. For one, in March of last year I started my shiny new job at Mindscape – makers of .NET tools so amazing, they’ve made grown men cry (see, always the marketer). However, apart from a brief time in my first year of university when I was supposed to learn HTML for my compulsory Info Systems paper (I had a friend help me, and by that I mean tell me all the codes I needed to make the ugliest web page known to man), when I started at Mindscape I was the biggest coding virgin you’ve ever seen. Panic set in when I realised that I was going to be marketing something that is as foreign to me as carbs are to Ashy Bines (who, by the way I cannot stand. But that’s another rant for another day/post). I felt incredibly intimidated by the world of technology, and rife with self doubt about my abilities. I felt like Dawson, after Joey chose Pacey – with a touch of the Sad Keanus. Then one day I stumbled across Codecademy, a site for beginner coders, which teaches a whole bunch of coding languages and importantly how and why you would use them. And it’s free. Hi there! Let’s start by getting to know each other. What do you want to call yourself? Type your user name with quotes around it, like this: “Ryan” and then press enter. And that’s where I started, with “Hilary”. I am fairly certain that I experience some extreme form of maths anxiety, because when ever more than 5 numbers are put together with any symbol that is not =, + or – , my mind goes on holiday with the dancing direction bears that I imagine when someone tries to give me directions. (Seriously, does no one else experience this phenomenon? Whereby on the outside you’re smiling and nodding and saying things like “Got it, turn right at the corner of blah blah and something street”, but in your mind there’s nothing but dancing bears pointing in different directions with stop/go flags). No? Ok. The summation symbol. I feel depressed just looking at it. 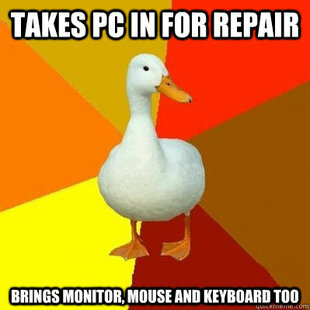 Honestly, I am like the tech impaired duck, only worse. I’ve never been good with computers, or any form of technology for that matter. I even have trouble turning on some televisions, and resizing an image in PhotoShop made me cry one time (OK so it was two times, but be nice to me). because I’m sure there are other noobs out there just starting out and going through the same frustrations and discoveries as I am. If that’s you, help a sista out yo! because I hope to make you laugh at my tech impairment. It can be quite entertaining at the best of times. Right, back to the world of variables and if/or statements I go. Wish me luck!